To be an honorable and professional organization through ethical and innovative leadership at all levels, protecting the public against crime and returning successfuly rehabilitated people to the community. To contribute to public safety in the State of San Andreas through the incarceration of offenders, parole supervision; and rehabililation through work and education-based programs aimed at the successful re-entry of offenders. To provide correctional officers with the instruction and training needed to guarantee their versatility and resourcefulness. Service. To provide cost efficient, superior correctional services that fulfills its prerogatives and ennobles the correctional profession. Accountability. To ensure compliance with state and federal law as well as government policies. Determination. To dedicate all efforts to our mission and to instill bravery and gallantry in each correctional officer. Cooperation. To put honesty and integrity first, and to develop teamwork, trust, and open communication. Respect. To recognize each other's differences; to provide appropriate facilities for offenders sentenced by courts. Last edited by SADCR PRU on Sun Apr 29, 2018 8:28 pm, edited 2 times in total. SADCR is organized into three mission-based divisions, all led by Division Commanders answering to the Warden of SACF. The Division of Custody Operations is in charge of the day-to-day planning of SACF. They are also the first line of contact for rank-and-file officers. DCO is overseen by a Facility Lieutenant and a Facility Captain, who together form DCO Command. The Division of Special Operations is the umbrella structure for all departmental organizations with prerogatives in the field — In prison or otherwise. It is led by a Division Commander and Deputy Commander. The Parole Operations Unit is in charge of all field and administrative tasks related to parole screening, supervising, and enforcing. The Special Services Unit carries out all criminal investigation and crime suppression performed by SADCR. It is authorized to operate both an investigations section and tactical squads for such purposes. The Canine Support Unit provides its assets to support custody staff and tactical teams alike. Its canine handlers are trained to carry out searches for contraband and to respond to assault or otherwise uncooperative behavior. The Emergency Operations Unit provides tactical operations related to facility or inmate security; contributing to the resolution of situations such as large riots or hostages. The Medical Technical Unit is competent to provide EMT-P level emergency healthcare to all persons in correctional facilities. It is also authorized to conduct medical examinations on inmates. The Division of Administrative Services is in charge of all support structures of the Department — Those units which typically have administrative prerogatives such as employment, public information or internal investigations. The Internal Affairs Unit investigates duty-related infractions to departmental procedures or law by SADCR officers. It advises and carries out administrative or criminal action. The Departmental Training Unit provides initial service training to all newly hired correctional officers. In addition, it provides further hands-on training courses to sworn-in officers; ranging from self-defense to searches of inmate living areas. The Recruitment & Evaluations Unit is tasked with all tasks related to the screening and hiring of correctional officers. It performs interviews, examine candidates' medical fitness, and reviews the Correctional Officers' Exam. The Public Relations Unit is in charge of public information creation and dissemination. 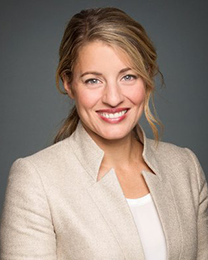 To these ends, it is authorized to release public documents targeted at the press or the public. The Correctional Sergeant Academy, Correctional Lieutenant Academy, Correctional Law Enforcement Academy, and Inmate Work Program are independently attached, and led by a Command or High Command officer. Last edited by SADCR PRU on Sun Apr 29, 2018 8:29 pm, edited 2 times in total. In 1851, San Andreas activated its first state run institutions. These prisons operated independently and held jurisdictional authority over their own prisons. In 1949, the San Andreas Board of Prison Commissioners was founded to have managerial authority over the state prison system. In 1955, the San Andreas High Facility Prison was activated. Located in Bone County, it was the first prison in the state designed to house maximum security inmates. The prison also had a gas chamber for death row inmates. In 1970, the Los Santos Prison was activated. Located in downtown Los Santos, it became the state's primary general population institution for medium security inmates. In 2009, an independent review panel appointed by the Governor of San Andreas determined that the prison management system in use by the state was costly and inefficient. The panel referenced a recidivism rate exceeding all other states, reported abuse of inmates by correctional officers, an disciplinary system that fails to promise wrongdoers, and a lack of organization. 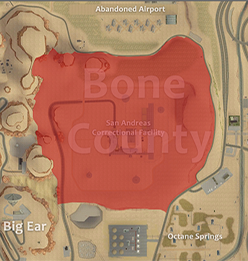 In 2010, to combat these issues, the state prisons were consolidated into the San Andreas Department of Corrections. Daniel Undr, the Warden of Los Santos Prison, was appointed to become the Department's first Commissioner. Under Commissioner Undr's direction, the Department underwent major reform that turned a formerly unconnected prison system into a statewide correctional program, including changes to structure, organization, policy, procedures, and personnel. Commissioner Undr appointed Timothy Bradshaw to become the new Warden of Los Santos Prison. In mid 2010, Warden Bradshaw was arrested and charged with several felonies stemming from an internal corruption investigation. Although Warden Bradshaw pled not guilty and was eventually acquitted, he was not permitted to remain in the Department. Commissioner Undr selected Adam Williams to succeed Warden Bradshaw. In late 2010, Commissioner Undr announced his resignation. Warden Williams was appointed as his successor and became the second Commissioner in the Department's history. In 2011, Commissioner Williams oversaw even bigger changes to the Department. New policy and procedures were created that further increased the efficiency and accountability of the department. New units were activated, designed to supplement the duties of regular officers. The Department's recruitment process was streamlined, leading to an increase in personnel. The position of prison warden was removed and direct control of prisons became vested with the Commissioner. Commissioner Williams soon resigned thereafter. He was succeeded by Dexter Abbruzi. Commissioner Abbruzi led a campaign to increase the Department's budget to purchase more equipment. The campaign succeeded and the Department was able to replace outdated equipment and vehicles and advance the Department's technological capabilities. In late 2011, the Los Santos Prison underwent renovations designed to expand the prison to account for an increased inmate population. In early 2012, new legislation made parole, a task formerly given to the municipal police and county sheriff with jurisdiction over a parolee's residence, a responsibility of the Department. This further expanded the Department's responsibilities and allowed them to better rehabilitate offenders and prepare them for release back into the community. In response to overcrowding at Los Santos Prison, the San Andreas High Facility Prison was completely redesigned and reopened in 2012 as the new San Andreas Correctional Facility. The new prison was totally state of the art and boasted two general population housing buildings, one security housing building, six housing units, and a total of 120 cells. 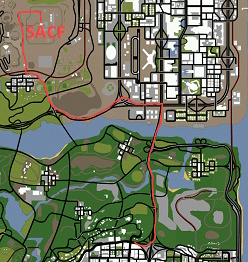 Most of the functions of Los Santos Prison were moved to the new institution. The San Andreas Correctional Facility was subsequently completely redesigned, with renovation projects topping out in 2017 and giving San Andreas a genuine 21st century correctional facility. Commissioner Abbruzi led the Department until 2013. He was succeeded by Galen Hawkins. In early 2014, Commissioner Hawkins reintroduced the position of prison warden and appointed John Winnfield to become the first Warden of San Andreas Correctional Facility. On June 28, 2014, Commissioner Hawkins resigned. Appointed as his successor, Warden Winnfield chose to retain his title, thereby making the Warden of San Andreas Correctional Facility the highest ranking officer in the department. Warden Winnfield implemented additional organizational changes, such as the division of the department into three distinct bureaus, during his first months of office. Warden Winnfield’s tenure saw the expansion of the Department Corrections in all directions, resulting in multiple overhauls and reforms. The first of such expansions include the introduction of the Parole Operations Unit, a SADCR unit composed of peace officers acting in accordance of the powers given to them by the 2015 Parole Enforcement Act, which passed in June 2015 after much debate in the San Andreas legislature. This wouldn’t be the last piece of legislature to recognize the involvement of SADCR in the San Andreas criminal justice system: 2016 saw the Establishment of Convicted Rights’ Act, better known as the ECRA. The ECRA was instrumental in defining what rights and privileges inmates were entitled to, and provided a tighter legal framework for SADCR to operate under. Concurrently to the growing legal recognition of the Department of Corrections, Warden John Winnfield’s tenure saw an emphasis on staff training and equipment. In May 2018, the San Andreas Department of Corrections became the San Andreas Department of Corrections and Rehabilitation. This move came with two other significant reforms to SADCR — The Special Services Unit's activation, and the re-organization of the Department into divisions. Last edited by SADCR PRU on Thu Mar 17, 2016 2:30 am, edited 11 times in total. The San Andreas Correctional Facility (SACF) is committed to ensuring a safe and secure institution that provides quality medical, educational, vocational, and correctional programs for all inmates confined to SACF. The goal of SACF is to achieve total rehabilitation and community reintegration upon release. SACF is a complex, multi-mission institution comprised of two General Population housing facilities and a Security Housing Unit. In addition, the institution has an Infirmary, Visiting Center, and Prison Industry laundry/workshop. Contact between inmates and members of the public may be done by way of written mail, phone, or visitation. Inmates may be sent letters and some items. All mail is thoroughly inspected by correctional staff before delivery. Any attempts to intentionally smuggle contraband through the mail may be met with criminal prosecution. Inmates may also send mail to pre-approved addresses. Most inmates may use SADCR-provided phone service to contact pre-approved numbers. The usage of prison phones is a privilege which can be revoked at the discretion of prison staff, such as for a violation of prison rules. Inmates in Secure Housing generally may not make phone calls. All phone calls are recorded and may be monitored or reviewed. Visits take place at the San Andreas Correctional Facility's Visit Department. Members of the public may enter the facility's lobby, which is open to the public. From Los Santos, the following directions apply. The itinerary includes a toll. Mulholland Freeway North from Los Santos to Las Venturas. Las Venturas Freeway west to Fallow Bridge. Northwest from Fort Carson Transit Station, onto Deadman's Road. Members of the public may park their vehicles in the SACF Public Parking lot, free of charge. Clothes resembling those worn by correction officers or inmates must not be worn by visitors. Visitors are also expected to dress modestly. Items of clothing that cannot successfully pass a metal detector need to be removed prior to the visit. Visits may be non-contact or contact, depending on decisions made by staff and wishes expressed by visitors. Contact visits involve inmates and visitor sitting at a table together; non-contact visits separate inmate and visitors with a window. Other rules may apply during the visit, as per SADCR policy or officers' discretion. These rules also must be respected at all stages of the visit. Members of the public may not currently bring in any items except religious or medical devices. SADCR directly owns an area of roughly 2000 feet around SACF. Pursuant to property rights over the area, SADCR policy prohibits any presence in the area outside of Deadman's Road without prior authorization. The Department of Corrections and Rehabilitation provides armed patrols around the area marked in red, in order to safeguard the security of SACF against smuggling or escape attempts. Last edited by SADCR PRU on Sun Apr 29, 2018 8:11 pm, edited 5 times in total. Pursuant to State policy and law, The San Andreas Department of Corrections and Rehabilitation offers inmates the opportunity for early monitored release: Parole. Parole is a process which grants an inmate early release from prison under certain conditions. All parole procedures, including hearings, monitoring, and enforcement, are conducted by the Parole Operations Unit. Parole Agents are present throughout the parole period, which may span years. Parolees are assisted in tasks such as getting a job or finding housing. Parole Agents are trained and legally authorized Peace Officers. Offenders seeking parole should approach a correctional officer in order to set the process in motion. The San Andreas Department of Corrections and Rehabilitation is thus not authorized to grant parole to offenders having a history of those offenses, under any circumstances. Non-affiliation with criminal associations, or certain persons. If it is found that the parolee is breaking the terms of their release, their parole period may be extended, or entirely revoked. In the latter case, the parolee is re-incarcerated in a state prison. Last edited by SADCR PRU on Sun Apr 29, 2018 8:19 pm, edited 2 times in total. Correctional Officers are responsible for maintaining the peace within the walls of the San Andreas Correctional Facility, assisting inmates with rehabilitation so they have a chance at a better life after release and working with other Correctional professionals to reduce recidivism and promote a safer community. 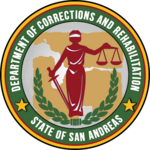 The San Andreas Department of Corrections and Rehabilitation offers a promising career with a large variety of opportunities. The SADCR employs officers trained in working together with canines, medical professionals charged with providing healthcare in the facility, forensic investigators to pursue investigations in SACF and in the community. All required training and educations are provided by the Department. Besides the many career opportunities, SADCR also offers additional benefits to those it employs; Full healthcare and dental insurance, paid sick leave and a starting salary of $40,560 annually. The Department of Corrections and Rehabilitation takes pride in its mission to ensure the security of institutions and the safety of staff and offenders while providing proper care and supervision to assist offenders in preparing for a crime-free life. The selection process starts with a review of each applicant's Correctional Officer Application, to identify those who appear to possess the relevant knowledge, skills, and abilities needed to successfully perform the duties and responsibilities of a correctional officer. Applicants who successfully pass this step will be required to complete the Qualifications and Motivations Essay. Passing the QME concludes the application process, and turns applicants into SADCR Cadets. Cadets are first subject to a medical examination to ensure the absence of any contraindication to their employment. They are then invited to a Verbal Interview held by one or more Recruitment Officers. Both the Verbal Interview and Medical/Fitness Test are done at the Correctional Training Center in Bone County, SA. During the course of their trainings, recruits are given reading material they must study, and are invited to the Correctional Academy, which will teach them the basics of the correctional profession. They must then pass the Correctional Officer Exam. Cadets are invited to their Induction Ceremony and promoted to the entry-level rank of Correction Officer I. Their training does not stop here however, as DTU will continue to offer training courses to teach them the finer details of correctional work. During the first period of their careers, Officers will also be subject to scrutiny by sergeants, in the form of written performance reviews. Last edited by SADCR PRU on Thu Jul 31, 2014 3:38 am, edited 1 time in total. Aubrey Taylor is a Colorado native, who started her career in the Federal Bureau of Prisons as a Correctional Officer. She primarily worked in United State Penitentiaries, which are medium to maximum security institutions. Before joining SADCR as a commissioned officer, Warden Taylor served as a Wing Captain in a Federal Correctional Complex, known as ADX Florence. ADX Florence is a supermax facility. Warden Taylor has primarily been tasked with re-organizing the Investigative Services Unit into the Special Services Unit, and revamping the Internal Affairs Unit. Associate Warden Taylor is Acting Division of Special Operations Commander, Correctional Sergeant Academy Director, and Commanding Officer of the Parole Operations Unit. David Pittman is a West Virginia native, residing in San Andreas since 2012. Pittman has been a corrections professional since 1994. First hired in the West Virginia Division of Corrections, he joined SADCR in 2012. Early in his career, Warden Pittman took an interest in the training and instruction of correctional officers, which fueled most of his career. Having been sworn-in the San Andreas Department of Corrections and Rehabilitation in 2012, then-Lieutenant Pittman first led the Public Relations Unit and the Departmental Training Unit. 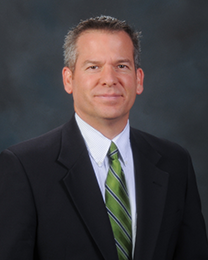 Pittman was recently appointed as Associate Warden in April 2018. Warden Pittman has primarily been in charge of the Inmate Work Program activation, reform of SADCR into a divisional system, alterations to use of force policy, re-organization of inmate healthcare, and organization of a new chain of command involved in the managing of Custody Staff. Warden Pittman is Acting Division of Administrative Services, and Acting Inmate Work Program Administrator. Last edited by SADCR PRU on Thu Aug 09, 2018 4:00 am, edited 8 times in total. I'd like to formally thank everyone who contributed to the completion of the faction topic of the San Andreas Department of Corrections and Rehabilitation via any way shape or form. Last edited by SADCR PRU on Thu Jul 31, 2014 3:39 am, edited 1 time in total. Nice thread, you have put a lot of effort in this! Can't wait for some screenshots. Wow this is amazing man! Well done Abruzzi. Keep up the good work bro. This thread makes me think about the my time with the AB, great memories. Nice looking thread, guys. Look forward to seeing more content being poured in.